The latest addition to the ASUS Republic of Gamers Series is the GTX 980 Matrix Platinum. This is set to be ASUS' flagship single GPU card alongside their air/water cooled Poseidon Platinum. This card comes with a fully custom PCB with a 12+2 phase power design but sadly with only 4GB of on VRAM. It doesn't look like Nvidia plan to release 8GB GTX 900 series GPUs anytime soon. As many of you guys can see, this GPU looks almost identical to ASUS' older GTX 780Ti Matrix Platinum, with the same black heatpipes, heatsink and fans, with the only real visual difference being an updated set of visual outputs. The pricing and release date of this GPU remains unknown, but some sites are reporting that review samples have already been sent out. I'm excited to see how this performs. Join the discussion on the ASUS Republic of Gamers GTX 980 Matrix Platinum on the OC3D Forums. I am quite disappointed by the clocks on this card. 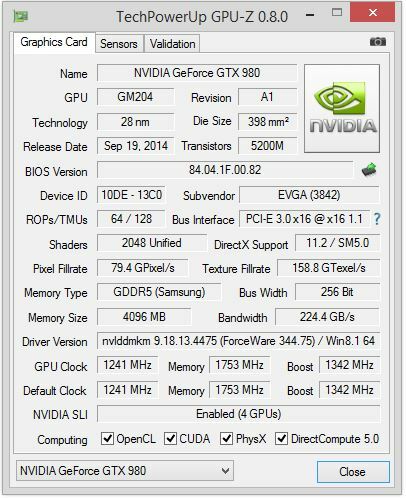 Here is a screenshot of my reference EVGA 980 SC cards running @stock. Check out the clockspeeds on my reference cards, they are exactly the same as this new Asus card. ASUS Announces GeForce GTX 980 ROG Matrix Platinum. 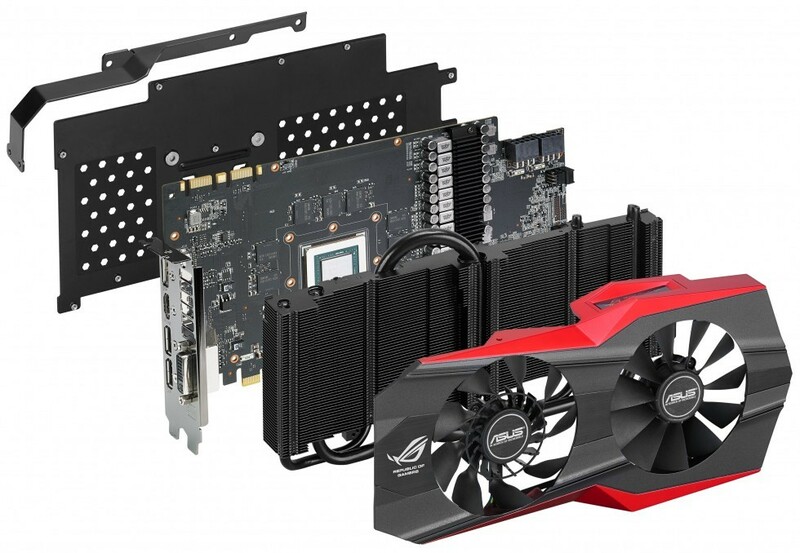 ASUS' new flagship single-GPU graphics card based on the GeForce GTX 980. Come on this has already been posted earlier. I'm having to read stuff twice.